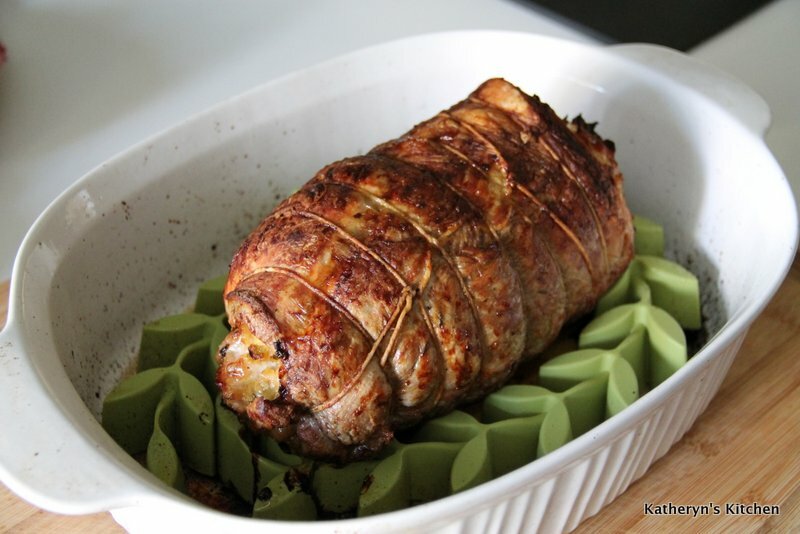 This pork roast turned out really well. 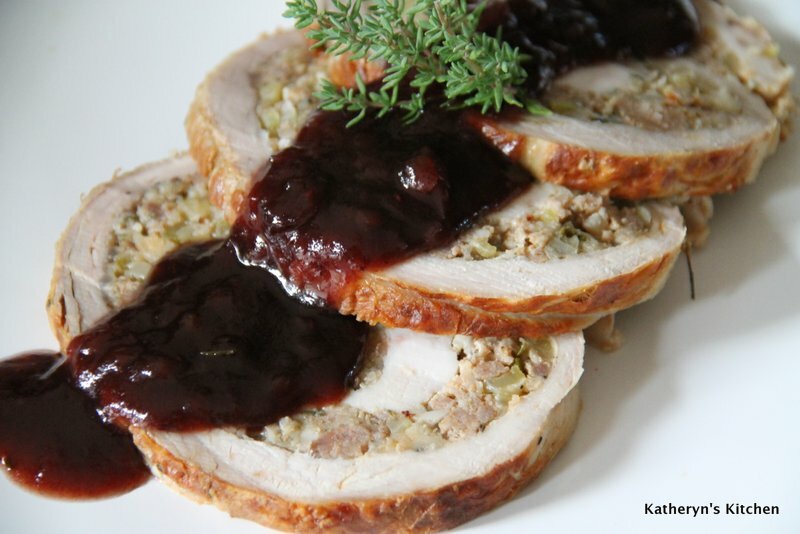 The fresh herbs in the stuffing give it such a great flavor. It was a great Sunday meal(you have more time generally than a weekday), as you need about 60 minutes for prep, and 75 minutes cooking time. 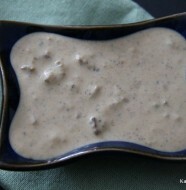 I served it with a cranberry balsamic sauce. 1/2 pound mild Italian sausage (or 2-3 links, casings removed)- I used one link of hot Italian sausage and 2 links of mild, we like some spice. In a large sauté pan over medium heat, sauté the sausage until no longer pink. 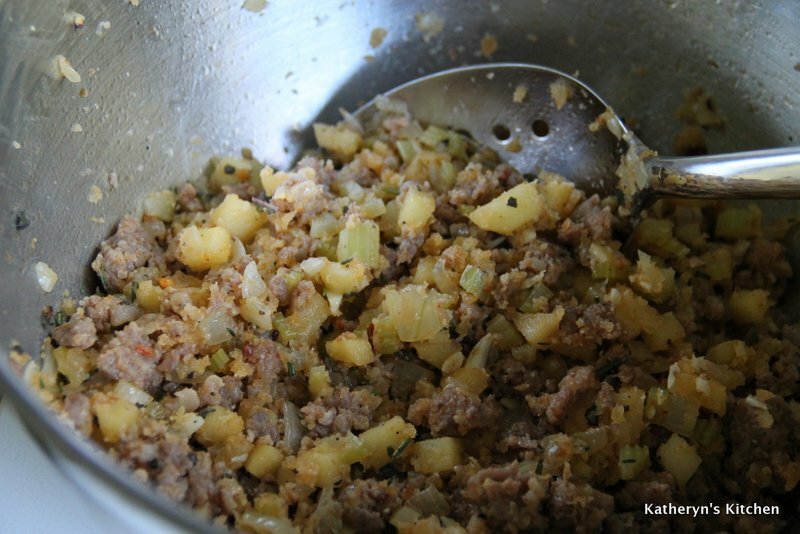 Remove the sausage (leave in the fat), and set aside. To the pan, add the onion, celery, and apple and sprinkle with salt and pepper. Cook until the apple is no longer crisp, about 5 minutes. Add the garlic and cook an additional couple of minutes. Now add the white wine and simmer until reduced. Remove from the heat, stir the sausage back in and set aside. 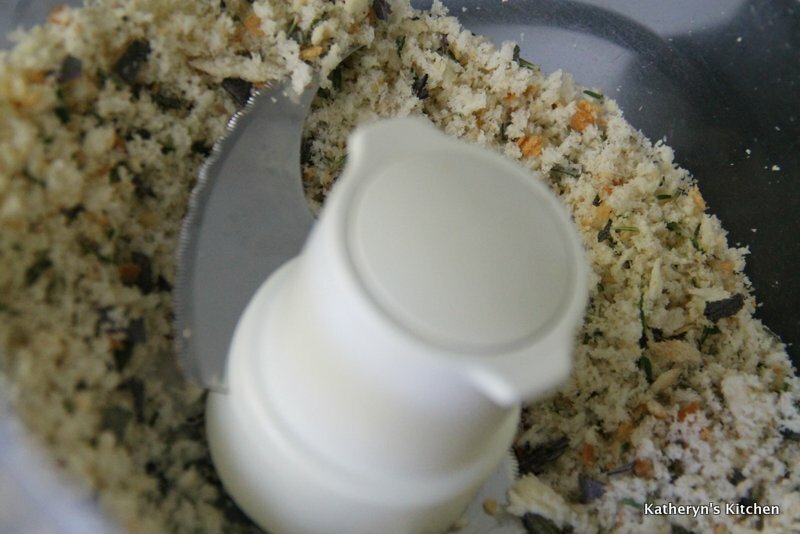 In a food processor, pulse the bread with the sage, rosemary, and thyme into coarse crumbs. Heat the butter in a medium saute pan and cook the crumbs over medium-high heat until coated with butter and lightly toasted, about 3 minutes (be careful not to burn). 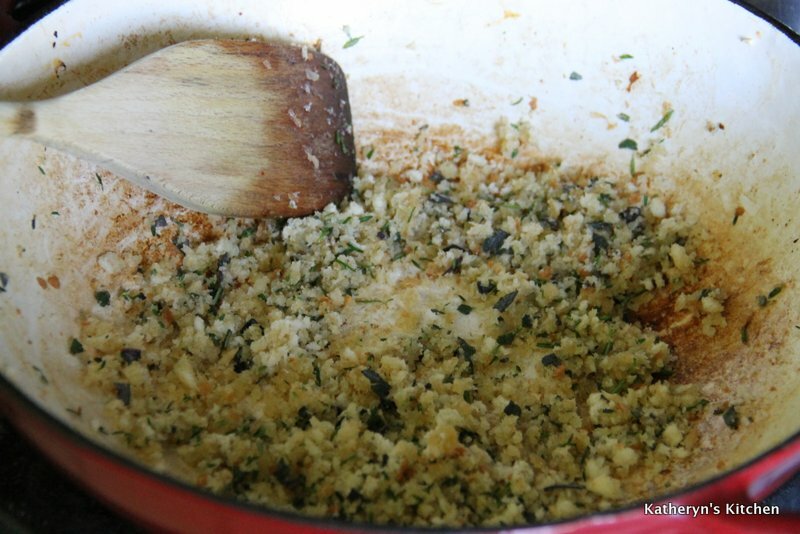 Mix the breadcrumbs into the sausage mixture. 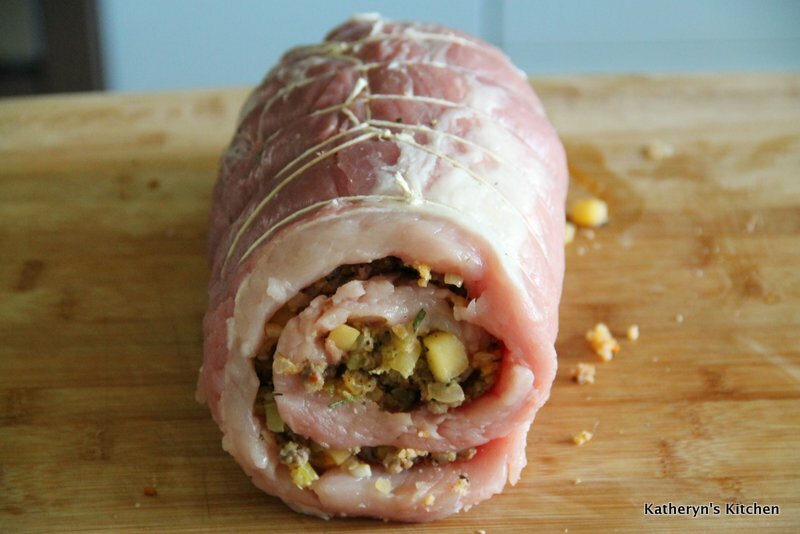 Prepare the roast as if making a jellyroll. 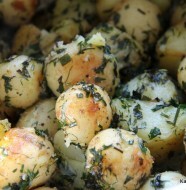 Place the roast with the short side toward you, and fat facing down toward the counter or cutting board. Use a sharp knife to slice the roast open at about 1/2-inch from the bottom of the roast (parallel to the cutting board), being careful not to cut all the way through. 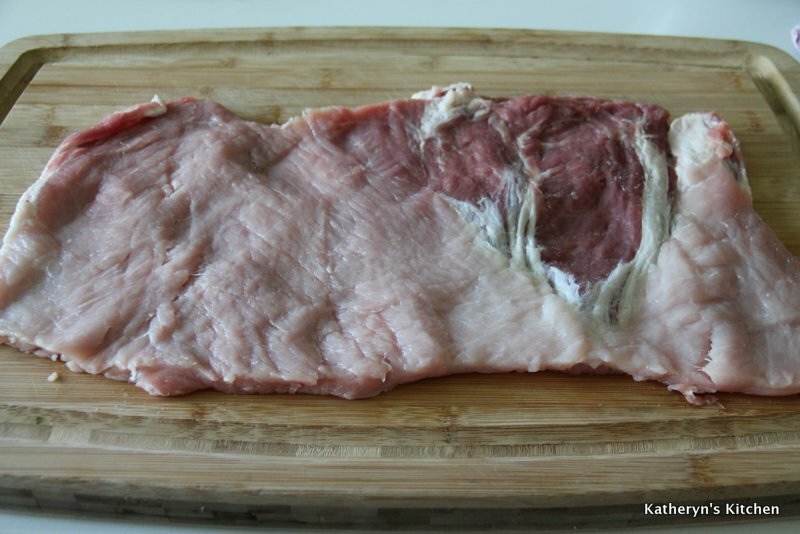 Continue cutting, unrolling the roast as you work until you have a large, thin piece of meat. 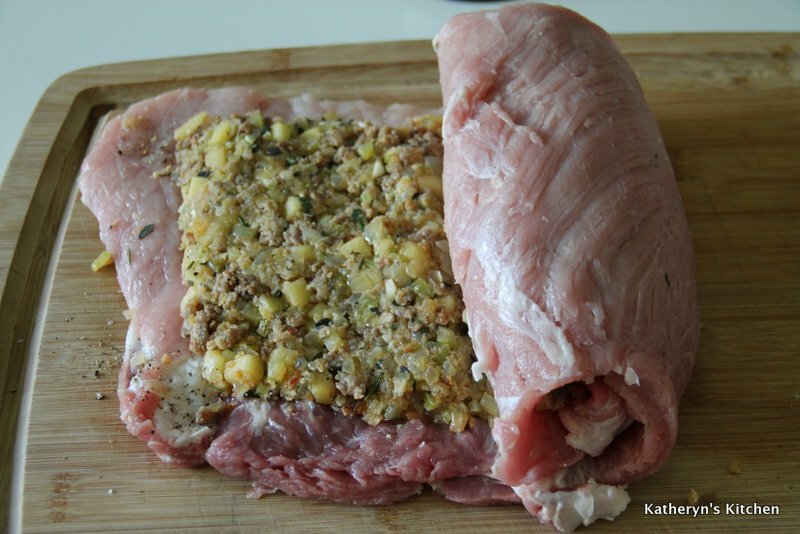 Place the rolled out piece of meat between 2 sheets of waxed or parchment paper, and lightly pound with meat mallet to increase the meat surface area by 10 to 20 percent. Be careful not to pound through the meat. Salt and pepper the pork and top with the filling, spreading evenly across the pork, leaving a 1-inch margin around the perimeter. 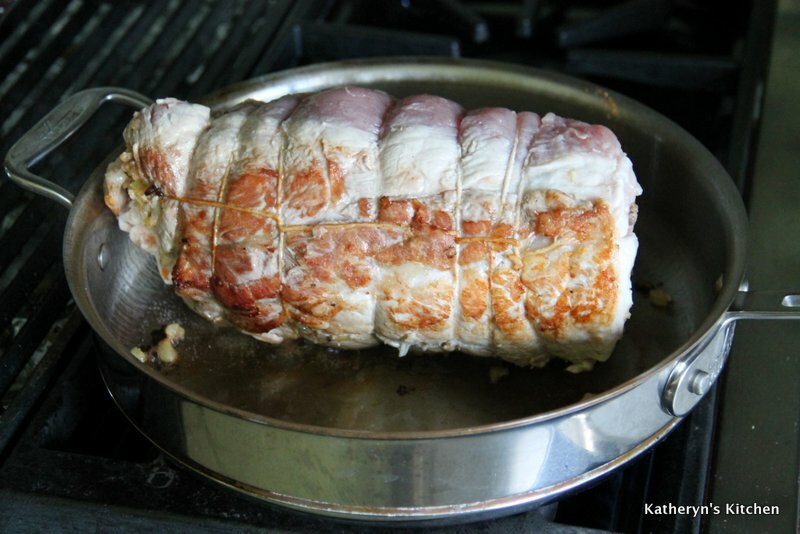 Starting with the short side, roll up tightly jellyroll style, and secure the roast with kitchen twine. Heat a large sauté pan over medium heat and add oil. Add the roast and brown on all sides. Place in a roasting pan fitted with a rack. 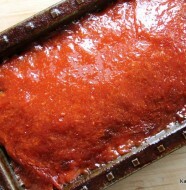 Bake for 60-75 minutes, or until the internal temperature hits 145 degrees F on an instant-read thermometer. 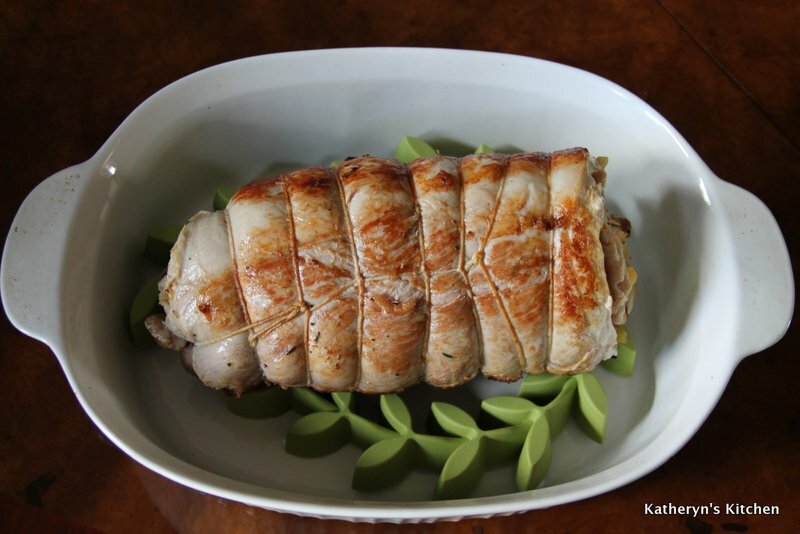 Remove the roast from the oven and allow to rest for a full 10 minutes before slicing and serving.